Color your world with light. Add a Philips Hue Bloom to your system and transform your home with high quality white and colored light. Create indirect ambient lighting and highlight furniture or features in your home. Place it wherever a power socket is available. 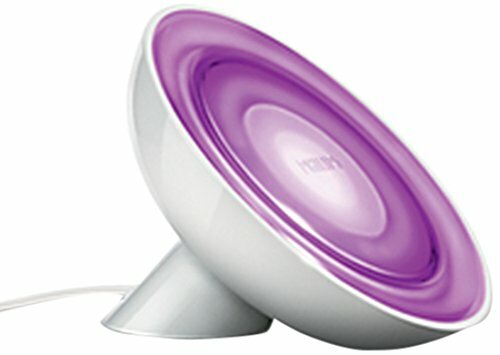 Add a Hue Hub (sold separately) to control with the Philips Hue App. Expand your lighting system with Hue accessories (sold separately) such as a Hue Dimmer switch, Hue Tap, or Hue Motion Sensor.